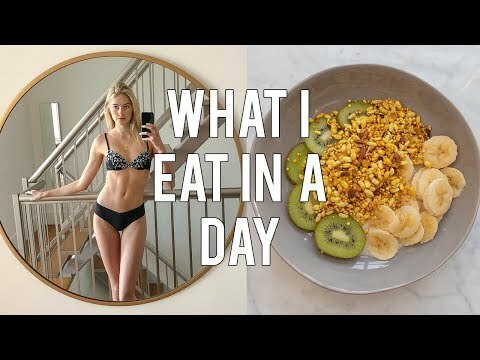 It's been a minute since I Shared a What I Eat In A Day video. Since I'm getting ready for all the upcoming Fashion Weeks from New York City to Milan, oh and Paris too, I thought it would be fun to share some new recipes that I prepare for myself when I am in work mode! I've always said eating healthy is a lifestyle that I subscribe too so it is important for me to get as much nutrition and antioxidants out of my meals as possible. This way I feel strong, fit, and balanced, especially during these cold winter months! Has anyone gotten sick this winter yet? I had my first cold right after my holiday. I try to make variations of my meals and I love to change things up everyday. Being creative in the kitchen with all the different foods that are available in season can be fun, but it doesn't always work out. I'll maybe share a video on all the recipes that didn't work out if you guys like. So after my holiday to Thailand I got super inspired to to come back and create my own healthy version of the famous Pad Thai. So if you try it at home I promise it's SUPER YUMMY! I feel like the kitchen is my lab and I love experimenting with different kinds of superfoods which can be amazing boosts for your body. My favorite one is Maca Powder, you'll see how I use it in the video. If you use superfoods comment your favorite one and I'll start incorporating more into my videos! I really hope you guys are enjoying this video. I read a few comments about the fact that our community has grown to be so big, but it doesn't feel like it is. Everyone here is so positive and the feedback you guys have given me has helped make my edits better, my videos more fun, and made my journey with you guys on Youtube an experience I never imagined having. You guys INSPIRE ME! So come join us, don't be shy, we are growing in numbers, our little WELLNESS ARMY WON'T be stopped! Give this video a big thumbs up and remember to hug someone today and tell them they are AMAZING! Letting Starbucks Baristas Pick My Drinks For A Week!